I can’t believe twenty years have passed since I first fell madly in love with a red-headed siren named Tori Amos. I’ll never forget the exact moment I saw her video for “Silent All These Years” on MTV (back in 1992 when they actually played music videos), I was instantly enchanted, quickly becoming a loyal fan and devout toriphile for life. Tori is celebrating the 20th anniversary of Little Earthquakes by releasing her thirteenth studio album, Gold Dust, next month. She revisits fourteen of her ‘girls’ (that’s what Tori likes to call her songs), with a fresh and new perspective. Below you’ll find the video for “Flavor” which was a cut off 2009’s Abnormally Attracted To Sin. I know Tori isn’t for everyone, yet I can honestly say she is still tops for me, I love many musicians but there’s no one quite like her. 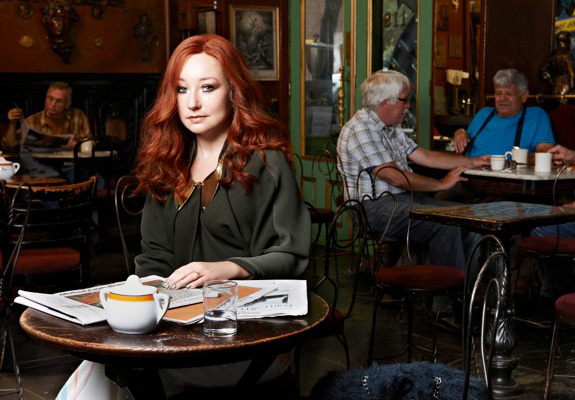 Tori Amos has re-imagined a personally hand-picked collection of songs spanning her entire catalogue with the thirteenth studio album, Gold Dust. Produced by Tori with arrangements by long-time collaborator John Philip Shenale, the new album features re-workings of songs in orchestral settings, which Tori recorded in the studio with the renowned Metropole Orchestra, conducted by Jules Buckley. “My relationship with all of these songs has changed over the years and they have changed my life. So it wasn’t just about capturing the past it was about realizing that the songs had a new narrative now – 10 or 20 years later than they did when I originally recorded them,” Tori comments. Amanda Bynes' car was finally impounded!